Smule’s back with another music-themed iOS app. The company behind App Store hits like I Am T-Pain, Glee Karaoke, and Magic Keyboard on Thursday released Strum. Though it’s an easy analogy to fall victim too, the easiest way to describe Strum is as (another take on) Instagram for video, but with soundtracks tacked on. Indeed, Strum offers an Instagram-like scrolling newsfeed of videos and gives iPhone videographers the ability to take their 15-second or shorter videos and apply all sorts of visual filters to them. But the filters in Strum go beyond the visual. True to Smule’s form, they offer a mix of audio-processing options as well: Some filters autotune your video’s soundtrack, others add effects like reverb, and others work to convert spoken word into rap or song. The key question, I suppose, is: Why? 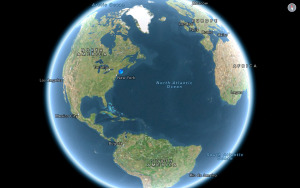 “We always wanted to do something with video,” Smule’s chief scientist, Parag Chordia, told Macworld. Smule, Chordia explained, is well-accomplished at fostering “ubiquitous social expression through music.” But with the exception of a few apps that offered video as a “kind of buried” afterthought, he said, none of Smule’s apps—which have combined for more than 75 million installations across devices—have focused on visual expression. “There’s really not any product out there that allows you to simply create videos that look and sound good, and that really enhance what you’ve done in an intelligent and automatic way,” Chordia said. He says that Strum’s on-the-fly composed music, coupled with its visual filters, add “a deeper emotional quality” to video. In my early experience with the app, I don’t know that I found the videos I watched or created exhibited a deeper emotional quality thanks to their filters. Rather, to be honest, they feel kind of silly. That’s not necessarily a bad thing, but I imagine it will define by whom and how Strum’s social network will get used. The Strum app itself is a pleasure to use. It supports navigating pretty much any way you’d like, with videos going full-screen in landscape. You can scroll through your timeline in portrait mode, or flip through videos in landscape. You can browse your timeline, popular videos, profiles, and an activity feed summarizing comments and followers you receive. When your video’s finished, you can optionally title it and choose a custom thumbnail using an innovative slider that scrubs quickly through your entire video as you choose your preferred representative frame. 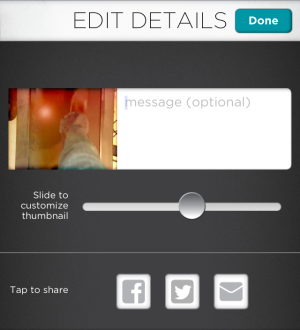 You can share your finished video via email, iMessage, Twitter, or Facebook. And since you're wondering what the finished product must look like, here’s an ode to my messy office, filled as it is with boxes of products to review. 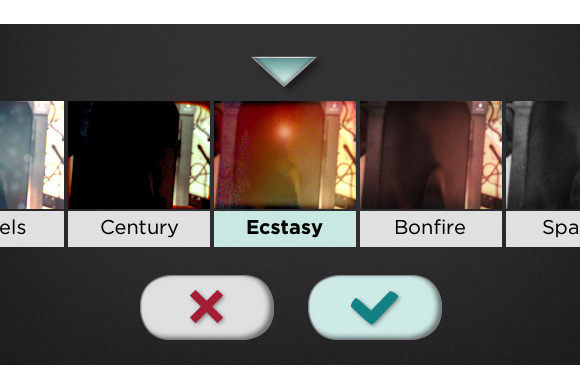 Strum is free with a limited set of audiovisual filters. More filters are available via in-app purchase.